Migrants can claim asylum once they reach the U.S., and many make it over the first hurdle of proving they have credible fear of returning to their home country. A person is granted asylum if they can prove they fled their home country because of persecution on the basis of race, religion, nationality, membership in a particular social group, or political opinion. But that first hurdle is not a guarantee of asylum. 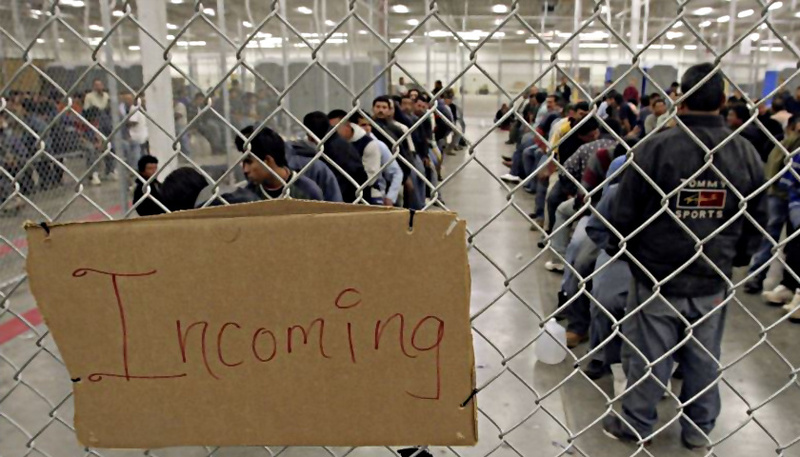 Immigration court backlog can also slow down the asylum process. The non-detained docket has a backlog of over 700,000 migrant family cases. Increasing numbers of families have been crossing into the U.S., according to Customs and Border Protection statistics. Those numbers pointed to the highest single-month total on record in September 2018 when 16,658 people traveling in family units were arrested by the Border Patrol at the southwest border. The majority of unaccompanied alien children are cared for through a network of state licensed [Office of Refugee Resettlement]-funded care providers, most of which are located close to areas where immigration officials apprehend large numbers of aliens, according to HHS’s website. These care provider facilities are state licensed and must meet ORR requirements to ensure a high level of quality of care. A surge in illegal border crossings caused ICE to contract with the Federal Bureau of Prisons to house roughly 1,600 immigrants in June, before Trump signed the executive order ending family separation, reported NPR.The migrant caravan made up of largely Honduran nationals is roughly 1,000 miles away from the border. The number of people in the caravan has significantly dwindled from its peak of roughly 7,000 people, and the Trump administration is reportedly mulling policies including shutting down the border or preventing people who cross the border illegally from applying for asylum.